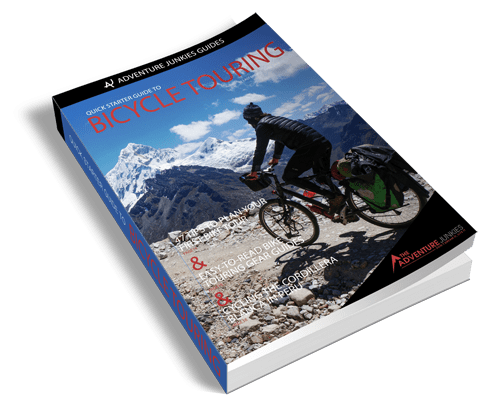 We spent over a year in total cycling Central America going from north to south through Belize, Guatemala, El Salvador, Honduras, Nicaragua, Costa Rica and Panama. 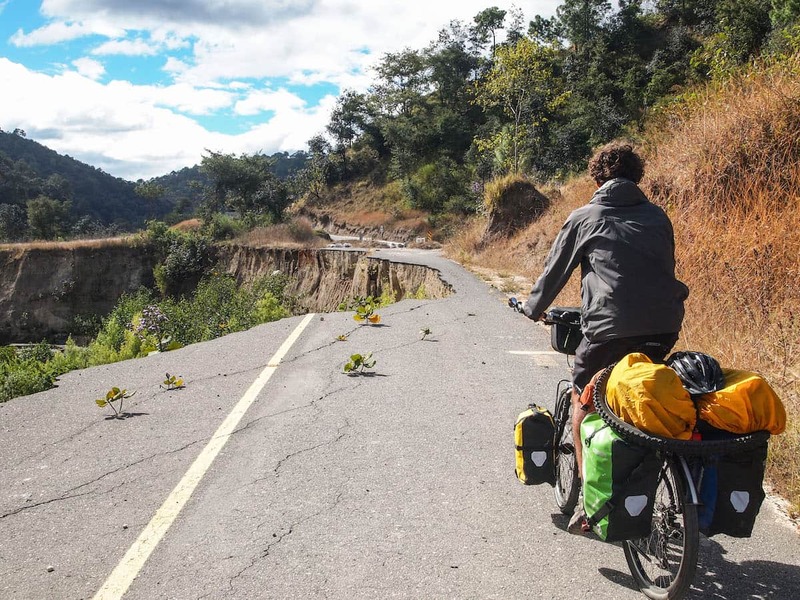 Here are a few pictures from the road to give you a brief glimpse of what it’s like to travel by bicycle through Central America. 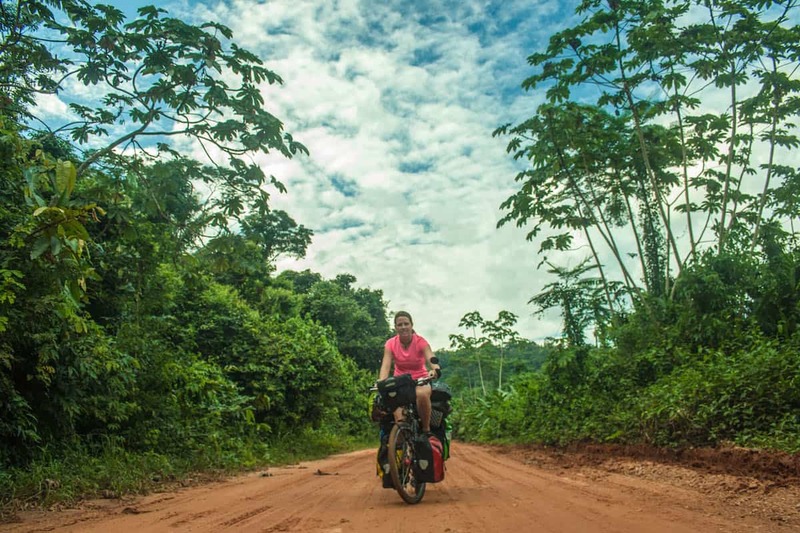 One of our favorite stretches of cycling in Belize was the Hummingbird highway for it’s impressive views, quiet roads and lush green road side jungle. The Cockscomb Jaguar Reserve is a great overnight side trip. 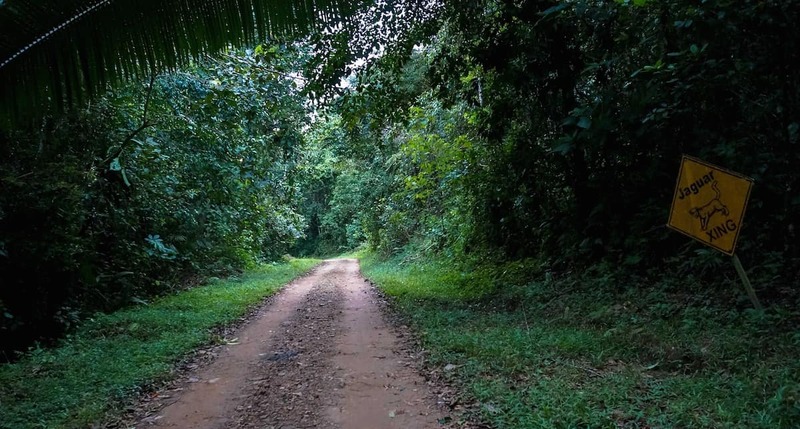 A dirt road takes you through the rainforest to a remote campsite and bunkhouse. Here you can stay the night then hit the trails early in the morning to spot birds and if you are very lucky, a jaguar. 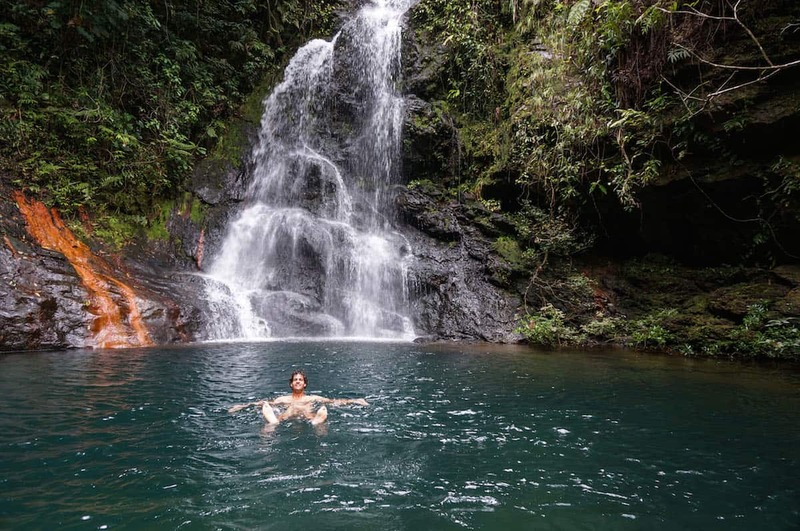 A short walk from the top of the steepest trail you’ll find this swimming hole to cool off in. Here is the dirt road we were talking about on the way to the Cockscomb Jaguar Reserve. Drivers have to watch out for jaguars crossing the road, although such a sighting is rare because jaguars are very shy. 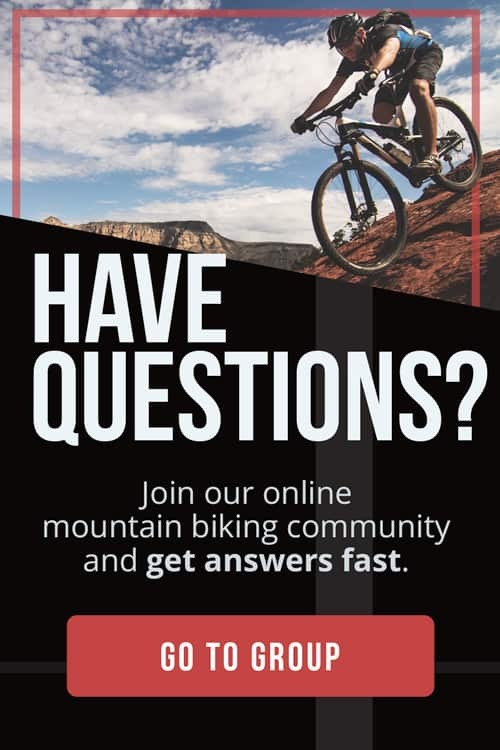 One of the best things about bicycle touring is that you are independent. Since we carry a tent and stove, as long as we have fresh water we can stop off and camp just about anywhere we like. 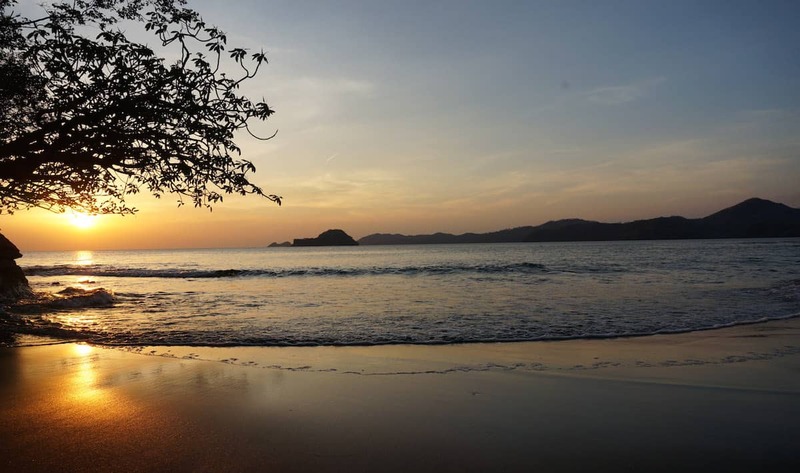 Here on the Pacific coast of Costa Rica we found this secluded beach to pitch our tent for the night. 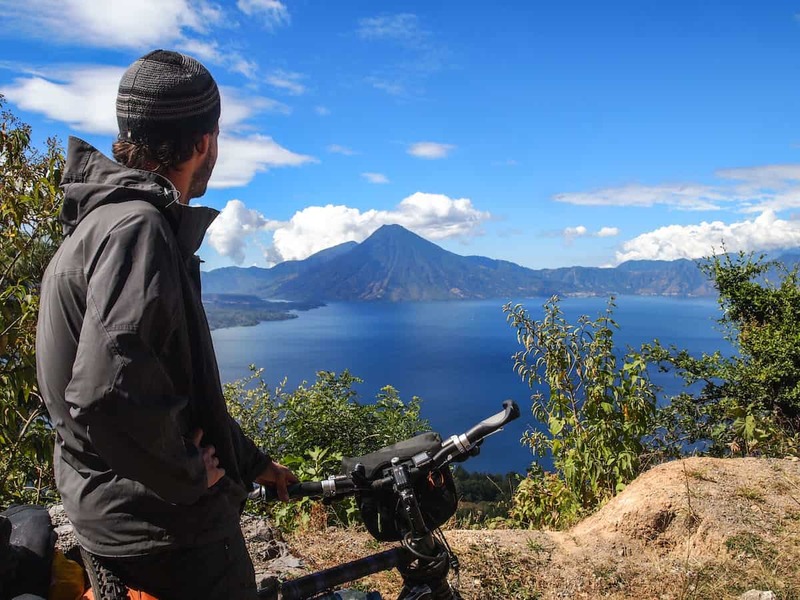 Lake Atitlan is one of the highlights of visiting Guatemala. 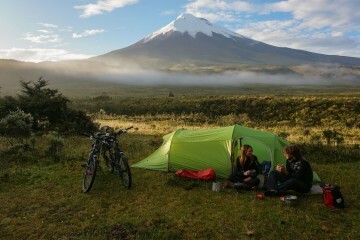 We enjoyed the morning of cycling around the lake stopping off to enjoy the views of the volcanoes. It’s funny what you can get used to. 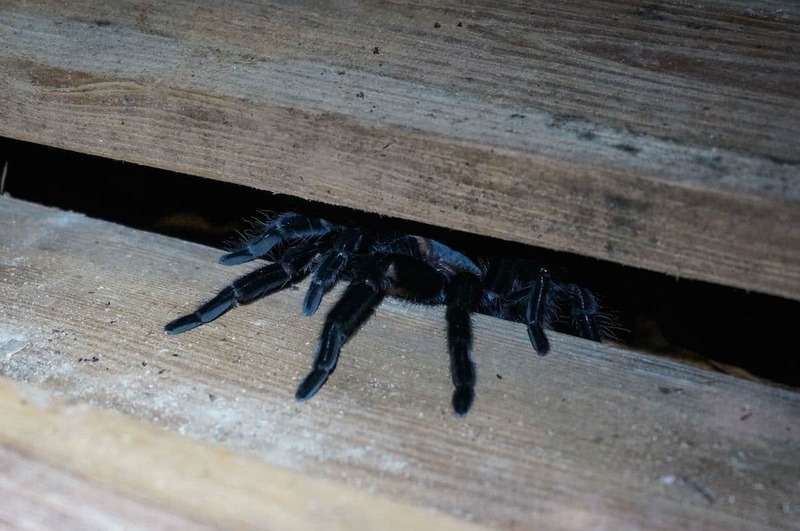 After months of cycling in the tropics we had come across all kinds of creepy crawlies. Tarantulas crossing the road is almost a daily occurrence in some parts. After a while you don’t even mind them. Here’s a shot of our campsite neighbor peaking out from it’s hiding spot. 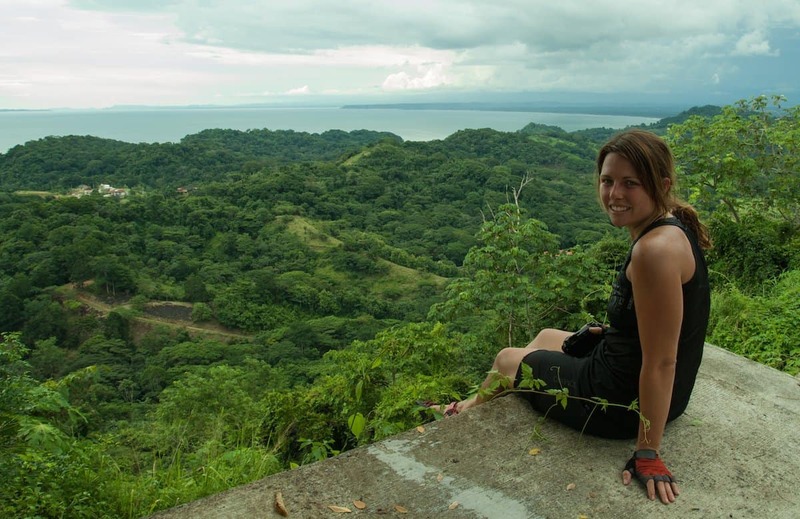 Costa Rica’s Pacific coast is about the rainforest meeting the ocean. 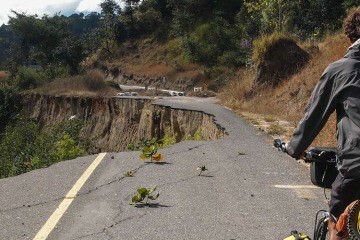 Road conditions in Guatemala are far from great but here is an exceptionally bad bit where the road fell off the cliff. When we spotted a group of tourists looking over a bridge we decided to pull over to see what the big deal was. 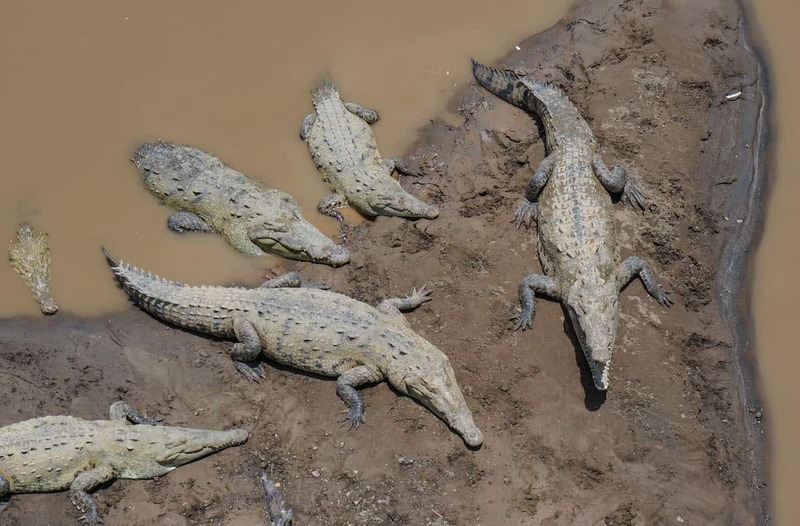 Here on the river bank a group of crocs was sunbathing. We stopped off in Antigua for a few days to rest our legs. 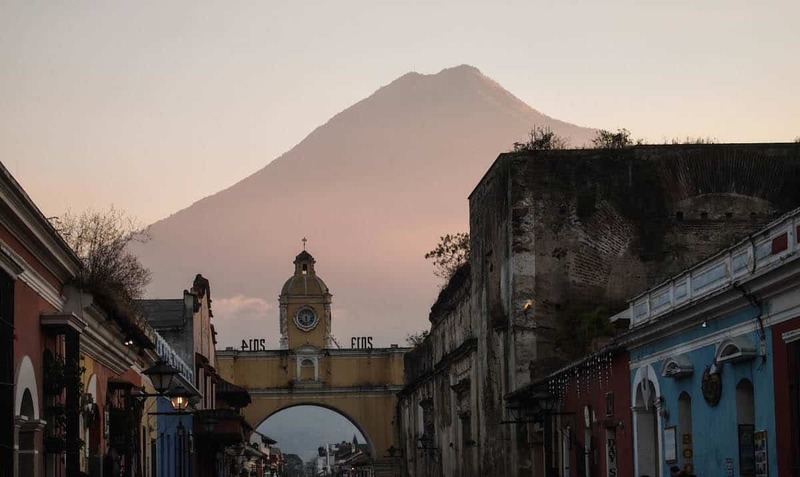 It’s surrounding volcanoes combined with the colonial architecture make it one beautiful place to take a break from the bike. 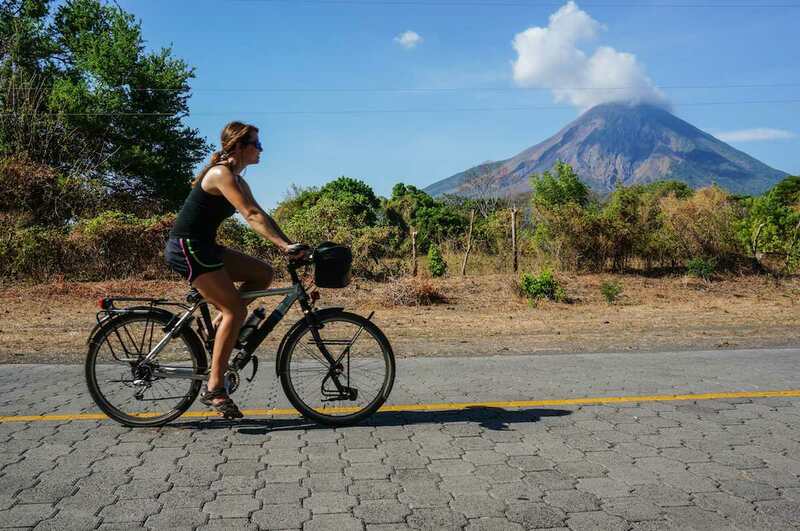 We left our bags in the hotel and took the bikes for a ride around Isla Ometepe, an island of Lake Nicaragua. The islands volcanoes made for some impressive backgrounds. 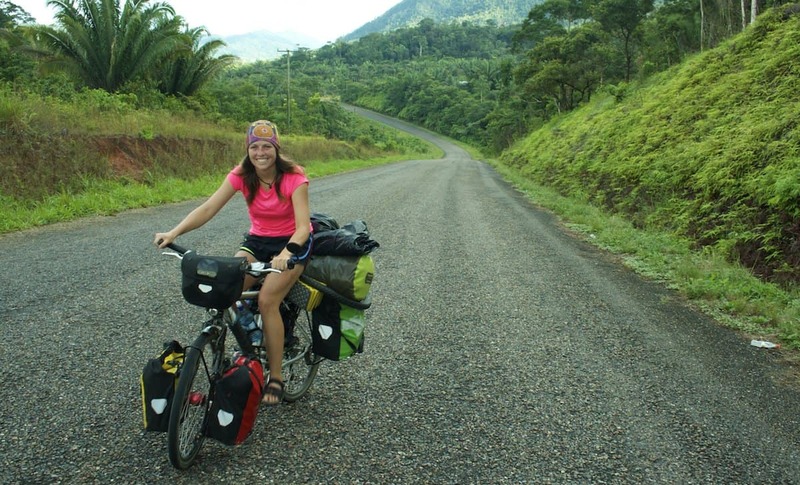 Cycling in the tropics, there are seemingly endless possibilities to try exotic fruits. 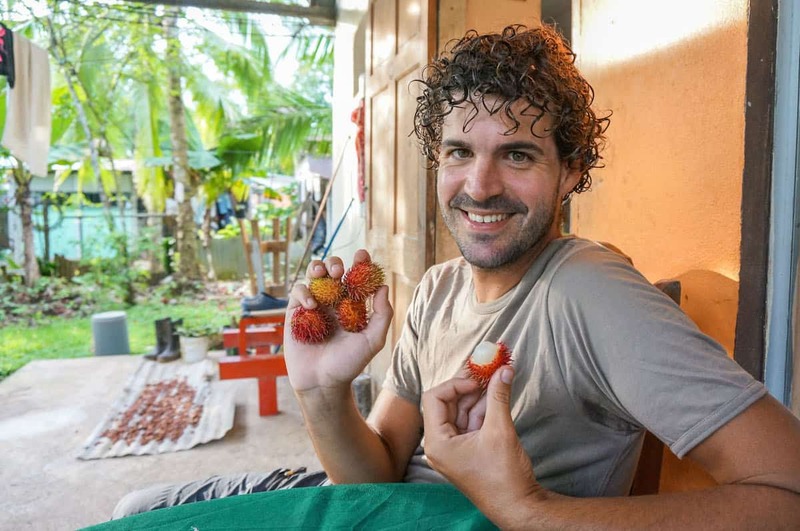 In Costa Rica we made it just in time for the season of mamones chinos, (also known as lychees or rambutans) the fruit that Antonio is holding here. This light and refreshing fruit quickly became one of our favorite cycling snacks. We hit the jackpot when a man invited us to stay with his family and in the garden was a mamon chino tree! 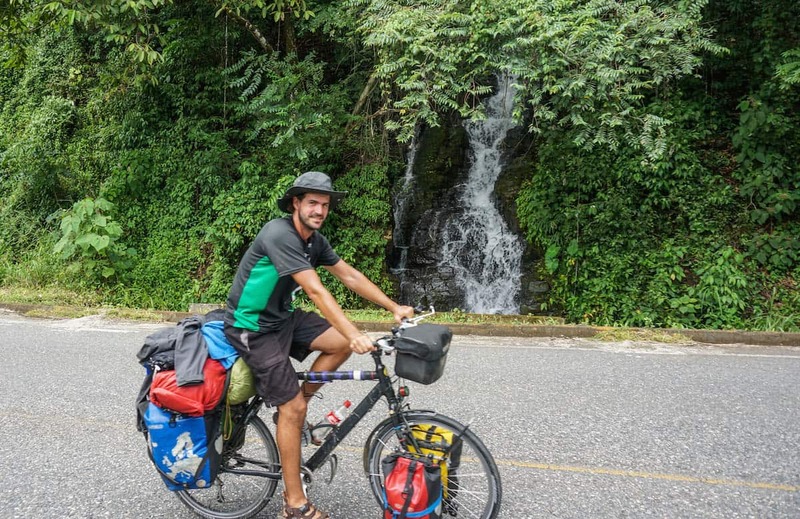 One of the best parts of cycling Costa Rica is all the roadside waterfalls. 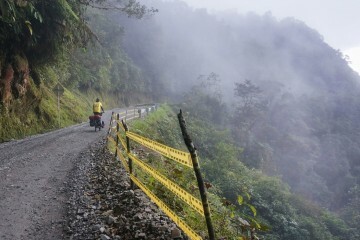 Getting off the main highways in Central America usually means pleasant cycling because the majority of the big trailers don’t take these backroads. 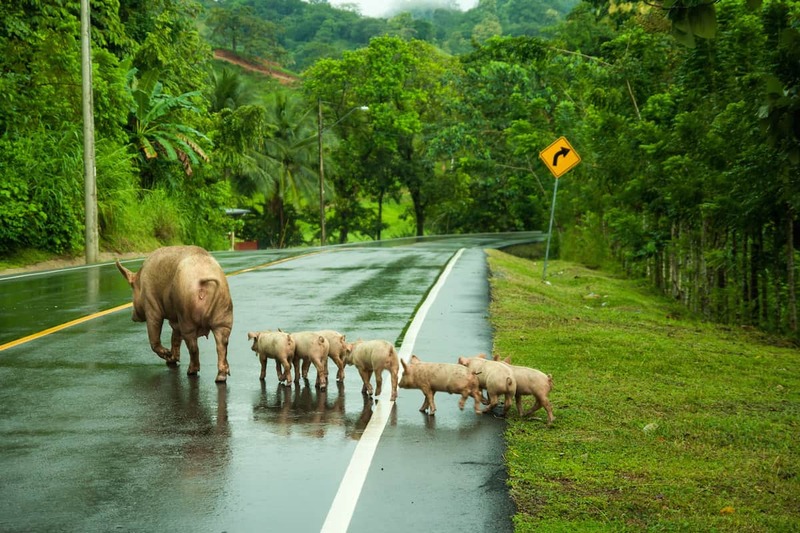 Here we stopped for a different kind of traffic as this family trotted across the road.